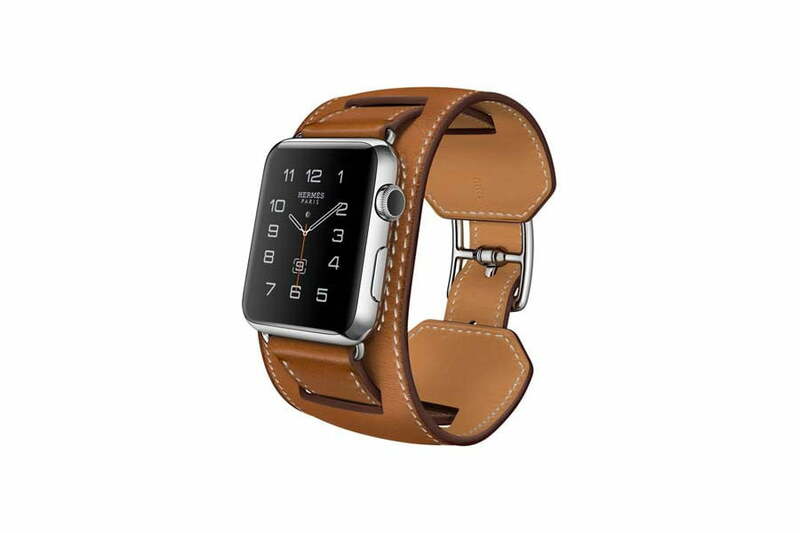 Apple announced its new partnership with Hermès in September 2015, where the fashion house would design exclusive straps and watch faces to accompany the Apple Watch. Sales started the month after, but at the time you had to make an effort to find a retail store that sold them. That changed in early 2016, but what didn’t is the fact you still need plenty of disposable cash ready for when you arrive. Hermès will sell the classy straps separately starting April 19, ready for existing Apple Watch owners to add some fashion flair to the smartwatch. Currently listed as coming soon on Hermès website, the prices vary, but aren’t cheap. The Single Tour costs $340 in either 38mm or 42mm sizes, the Double Tour and Double Tour Long are $490, while the Cuff is $690. There are several new colors available, but only for the Single Tour and standard length Double Tour bands, which are white, a gorgeous peacock blue, sapphire blue, and fire orange. Deer brown is your only choice should you opt for the Double Tour Long, or the Cuff straps. While not cheap, if you haven’t purchased an Apple Watch already, combining one with a Sport model will give you the full Hermès look for a considerably lower price than before. Previously, the cheapest model would have cost $1,100, but with Apple’s new Watch price and by choosing a Single Tour strap, you can have a complete set for $640. No, you won’t get the watch faces, but you’ll save plenty of money. There’s definitely something exquisite about an étain Double Tour Apple Watch Hermès with a custom single digit Espace watch face; but to buy one, you always had to leave the house. Following a rumor report from Fashionista, that has all changed; as Apple has put the watch on sale through its own online store. Apple will sell you one here, and there are ten different configurations from which to choose, all starting at $1,100 and rising to $1,500. 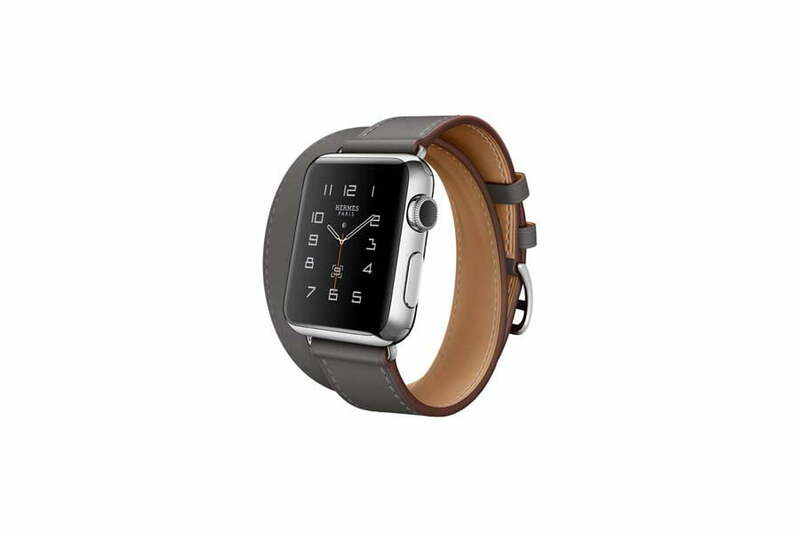 However, there’s no sign of the Hermès Apple Watch being sold through Hermès own online outlet. It was mentioned in the Fashionista report the fashion designer would be selling the smartwatch online, so this may change in the future. If you can’t wait, or would prefer to see one in person before buying, the Hermès models are available through certain Apple retail stores and boutiques around the world. Apple’s helpfully put a list online so you can find the nearest to you. There are three models, the Single Tour, the Double Tour, and the Cuff — and all provide very different looks to the regular versions sold by Apple. The Single Tour is a traditional strap made from leather with a Hermès branded, stainless steel buckle, in either fauve, noir, or capucine colors. It comes attached to either the 38mm or 42mm stainless steel Watch body, and costs $1,100. The $1,250 Double Tour is an extra long version of the Single Tour’s strap, and is designed to wrap around your wrist twice. 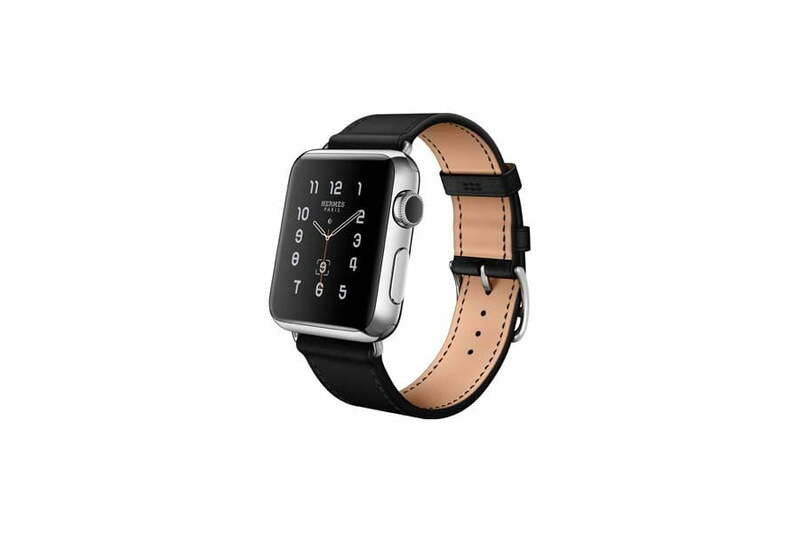 It’s paired with the 38mm Apple Watch, and is available in four colors: bleu jean, étain, capucine, and fauve. Finally, the $1,500 Cuff is only made for the 42mm stainless steel Apple Watch, and only comes in a fauve-colored calf leather. Neither Apple or Hermès will sell the bands separately, and there’s a reason — an exclusive, customizable Watch face. The minimalist face can be altered to show 12, four, or just one number along with the hands and a Hermès logo, and in one of three different typefaces. Three complications — that’s watch-speak for on-screen gadgets, and a part of WatchOS 2 — can be added to each face: A stopwatch, the date, and a world clock. You’ll have to splash out to wear a Hermès Apple Watch, but it just may be worth it.